- AQUA PATCH is a permanent repair solution for asphalt and concrete applications. AQUA PATCH is water-activated and uses a proprietary blend of organic additives that are environmentally friendly, safe, and non-toxic. - AQUA PATCH produces no hydrocarbon leaching or evaporation into the soil or atmosphere, and can be used in all types of weather – cold or warm, wet or dry. Water or moisture in the repair area is not a problem. Since AQUA PATCH is water-activated, water actually helps accelerate the bonding and hardening process. No tack coat is required, streamlining the repair process. 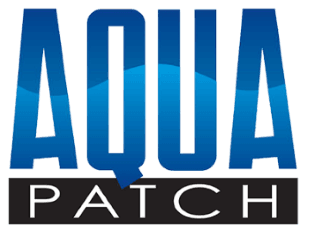 - AQUA PATCH is available in bulk quantities for large scale projects and contractors, as well as for state Maintenance and Repair Organizations (MRO). - Proprietary Blend bulk liquid is available for manufacturing in your area. - AQUA PATCH is an easy-to-use, environmentally friendly, versatile, and cost-effective way to make permanent repairs to asphalt and concrete. AQUA PATCH is available in bulk for large projects, and in convenient bags for quick fixes and small repairs on the roadway, driveway, and sidewalk, and for home use. - Keep AQUA PATCH dry until it is ready to be used. AQUA PATCH is water-activated, so it should be kept away from moisture during storage. AQUA PATCH is packaged in durable, impermeable bags to keep water out. It is recommended to apply AQUA PATCH to the repair area shortly after opening the bag, as atmospheric moisture will accelerate the curing process.